Antibodies immunoglobulins (abbreviatin Ig) which are proteins mainly gamma globulin proteins .Antibodies are found in blood and serum or body fluids of vertebrates. Antibodies are a part of immune system vertebrates , they can identify and neutralize any foreign matter for example viruses and bacteria. 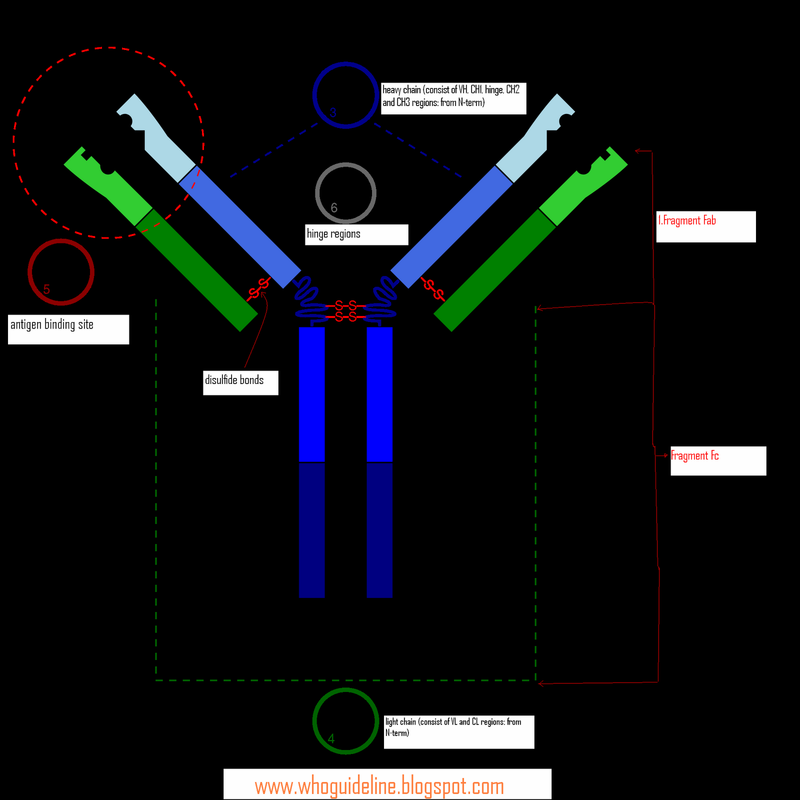 Basic structure of any antibody . They consist of two large profound chains and two small chains to form, monomers with one unit, dimers with two units or pentamers with five units. Antibodies are formed by white blood cells called as plasma cells. Antibodies exhibit numerous types of heavy chains, and numerous and different types of antibodies, which are then clubbed into different isotypes based on the type of heavy chain owned by antibodies. There are five different antibody isotypes are known in mammals IgA, IgD, IgE, IgG and IgM, which carry out different roles, and correct immune response against any foreign object they come across. Polyclonal antibodies also known as antisera are antibodies which are produced from different resources of B cells. They consists of different immunoglobulin molecules secreted against an antigen. Polyclonal antibodies antibodies are actually produced by immunization of a suitable animal ,( mouse, rabbit or goat). Antibody production is induced by injection of an antigen into the body of the mammal this sensitises the B-lymphocytes to produce IgG immunoglobulins specific for an antigen. Polyclonal IgG can be purified from the mammal’s serum , and used in medical uses in diagnosis or treatment. Monoclonal antibodies are made from one type of immune cell or cells which are clones of a single parent cell. It is possible to produce monoclonal antibodies that specifically bind to a particular antigen ; they can be used to detect or purify that antigen. Monoclonal antibodies are of great importance in biochemistry and molecular biology and medicine. Monoclonal antibodies are produced by hybridoma technology , where an healthy specific cell is fused with a B cell , with the use of propylene glycol or Sendai virus. Antibodies mediate many effector functions. It is required that a antibody bind to its antigen so that a effector function is accomplished . All immunoglobulin may not mediate all effector functions. 2. Binding of antibodies to various cells like, Phagocytic cells, lymphocytes, platelets, mast cells, and basophils. activates theses cells to carry out various functions which results in to distruction of pathogenic or allergenic cells . We will be writing on following topics soon .